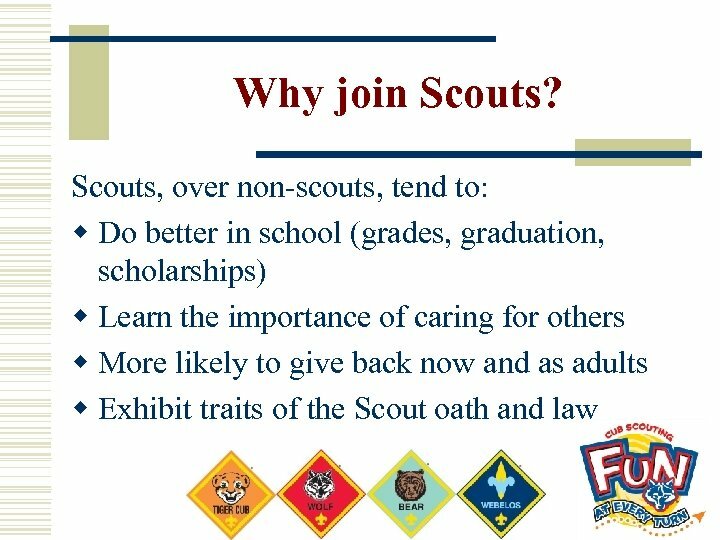 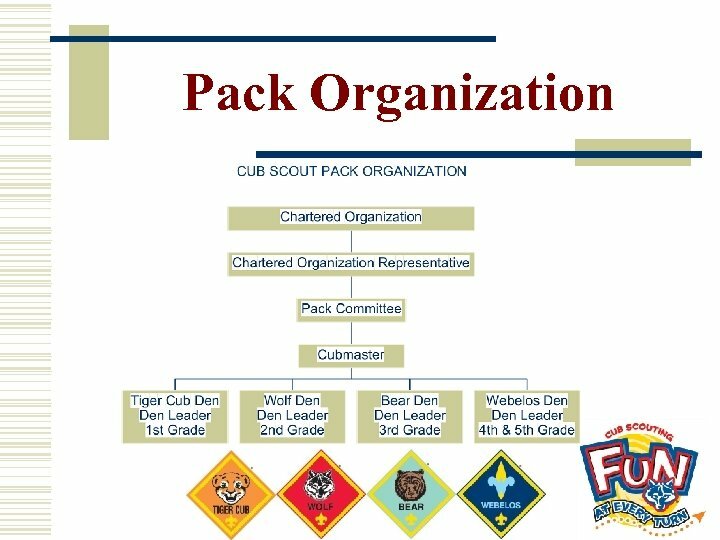 How it works: w Boys 1 st-5 th grade join a Pack. 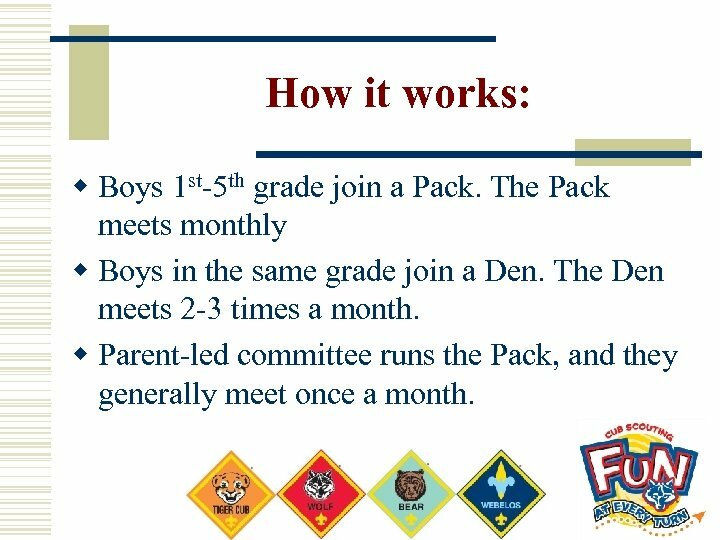 The Pack meets monthly w Boys in the same grade join a Den. 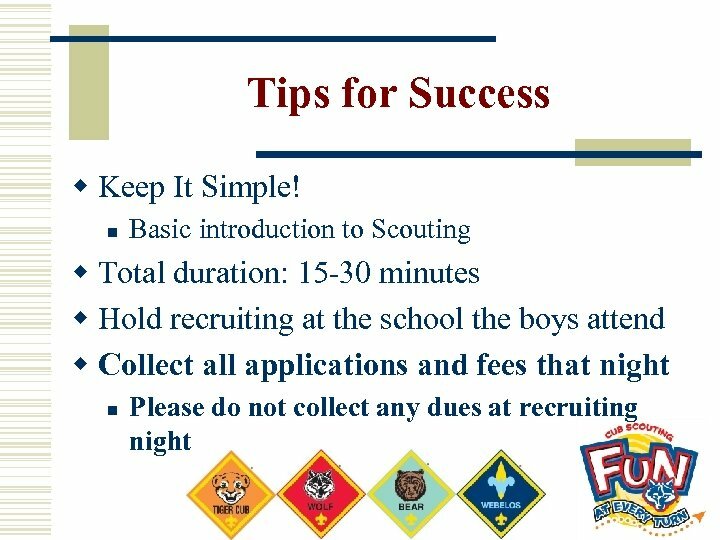 The Den meets 2 -3 times a month. 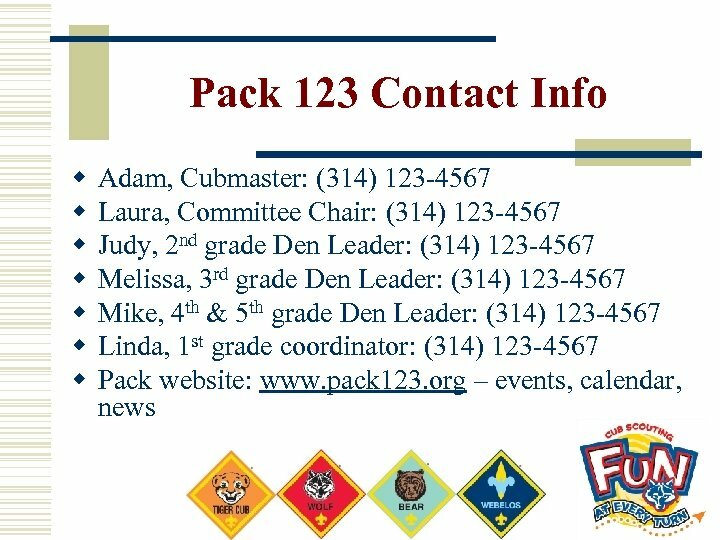 w Parent-led committee runs the Pack, and they generally meet once a month. 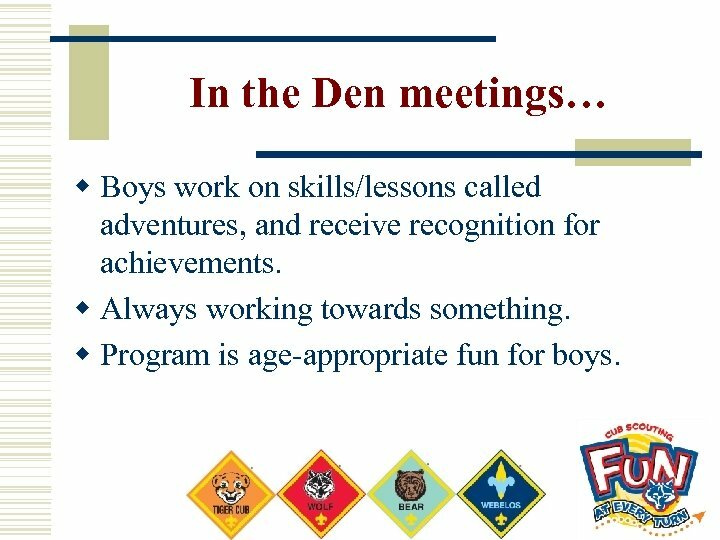 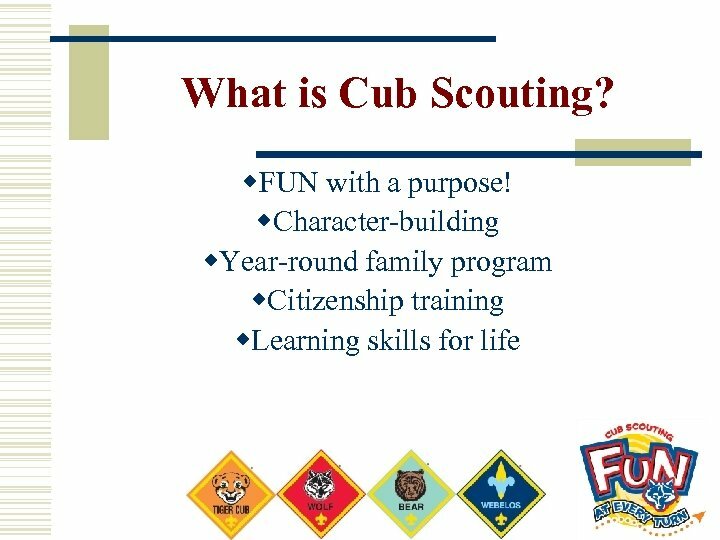 In the Den meetings… w Boys work on skills/lessons called adventures, and receive recognition for achievements. 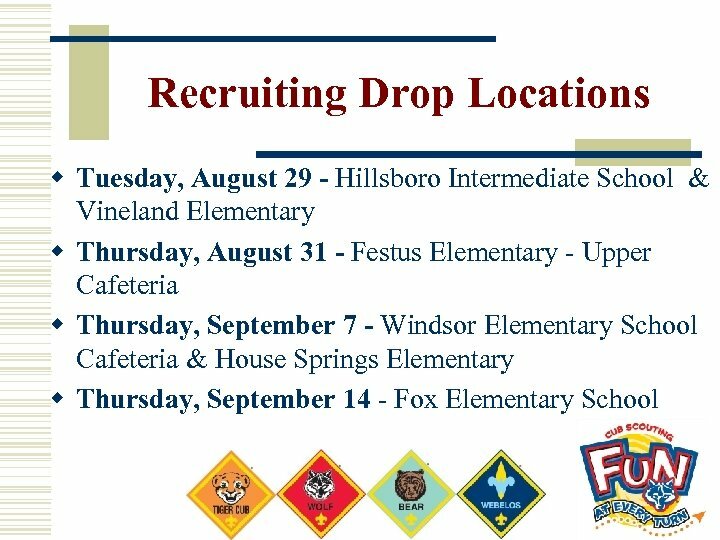 w Always working towards something. 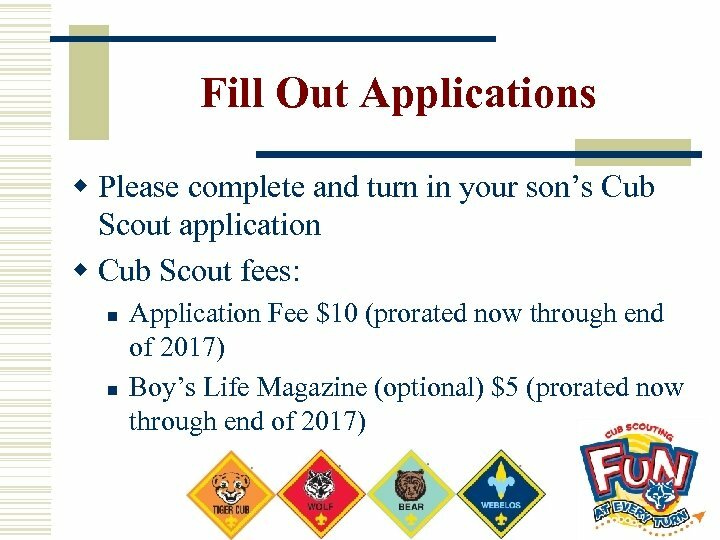 w Program is age-appropriate fun for boys. 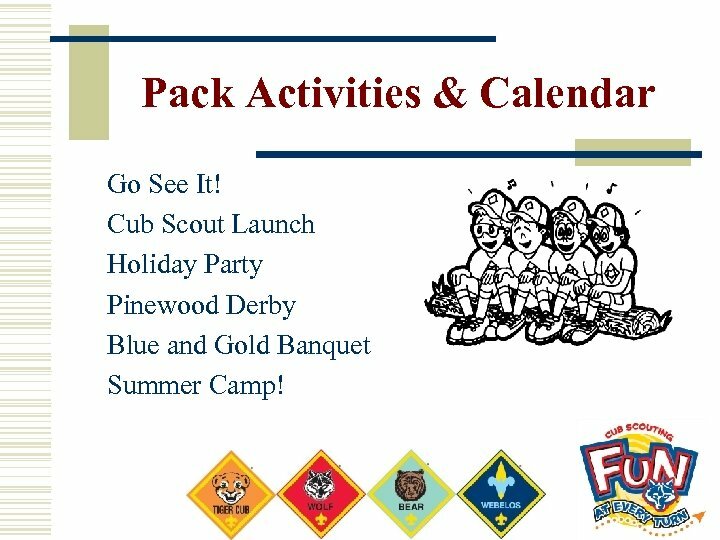 Pack Activities & Calendar Go See It! 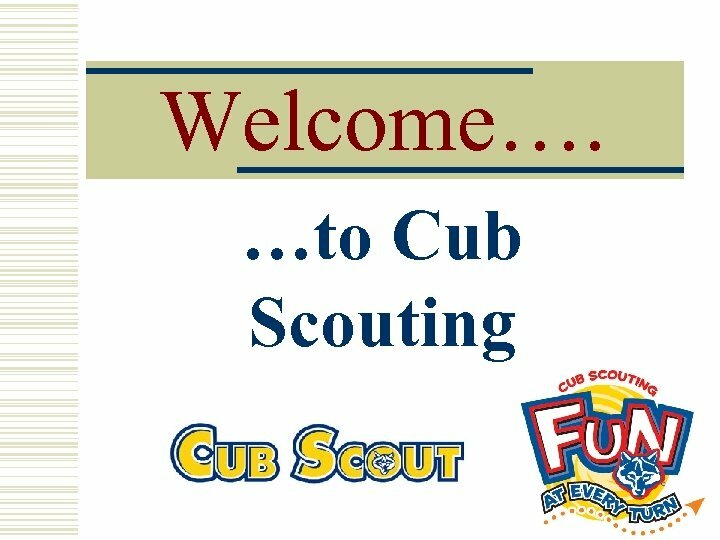 Cub Scout Launch Holiday Party Pinewood Derby Blue and Gold Banquet Summer Camp! 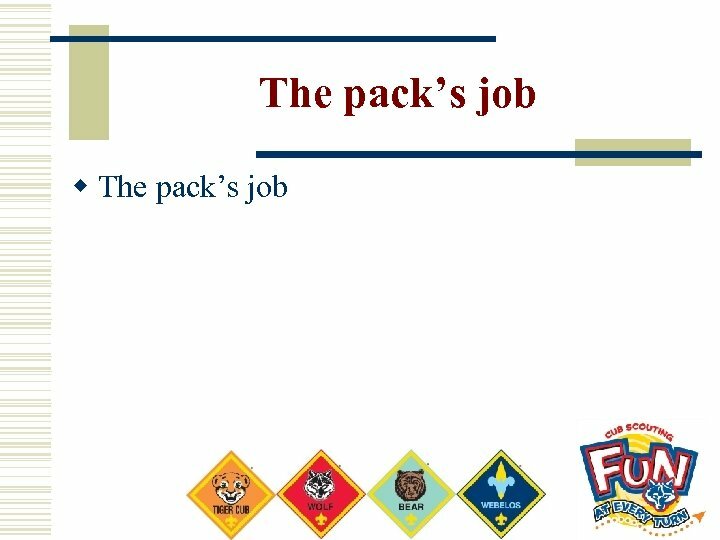 Thanks for joining our Pack! 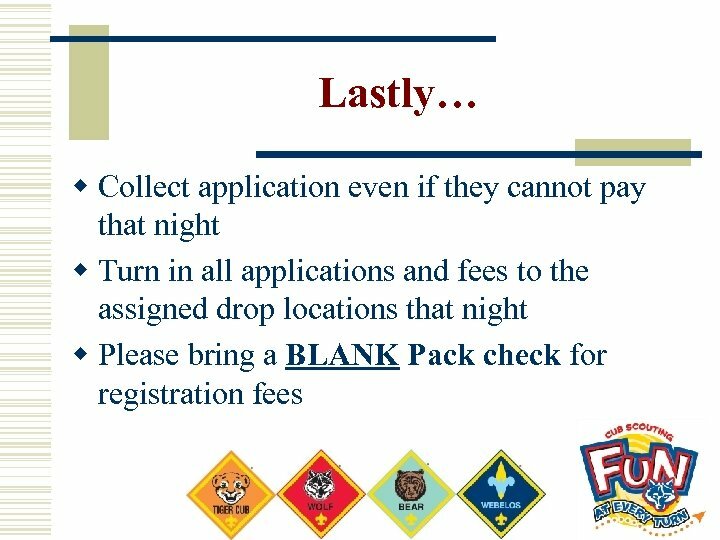 w Please turn-in your applications and fees tonight at the turn-in table before leaving. 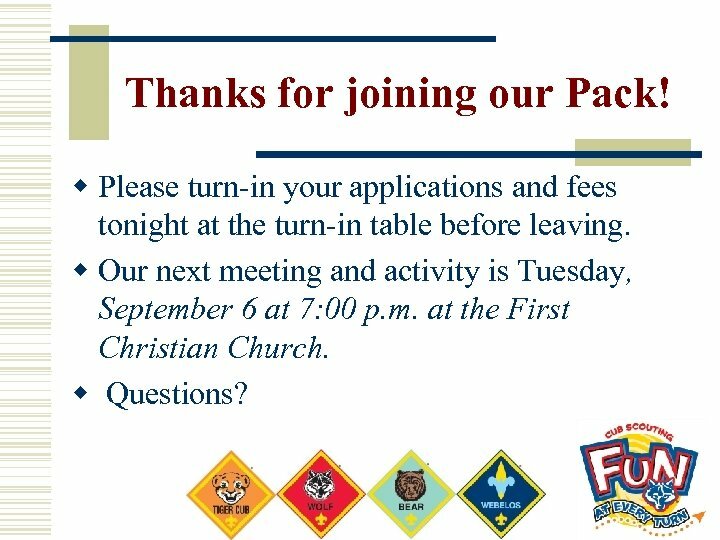 w Our next meeting and activity is Tuesday, September 6 at 7: 00 p. m. at the First Christian Church. 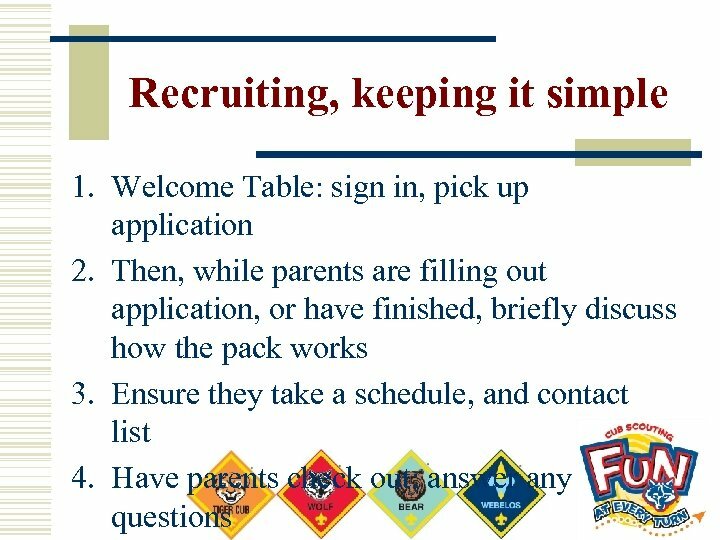 w Questions?